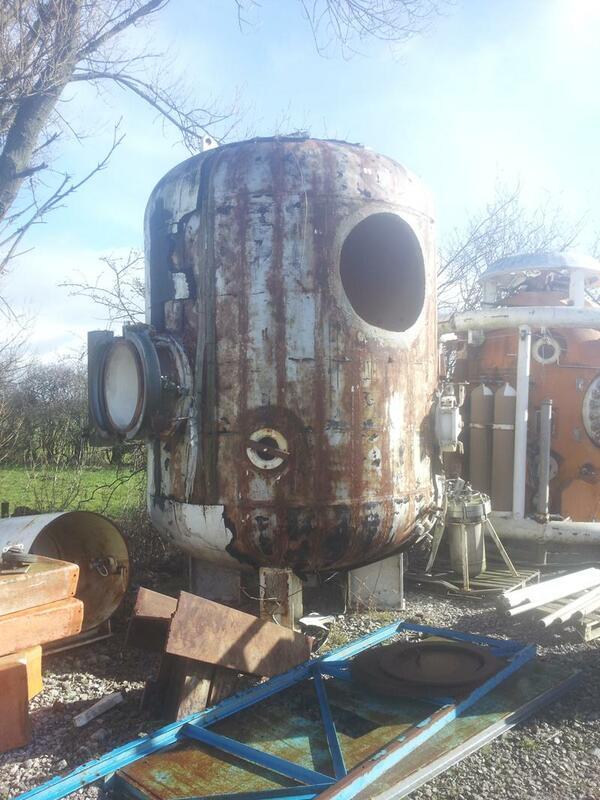 This is a Vidor single lock saturation diving chamber. 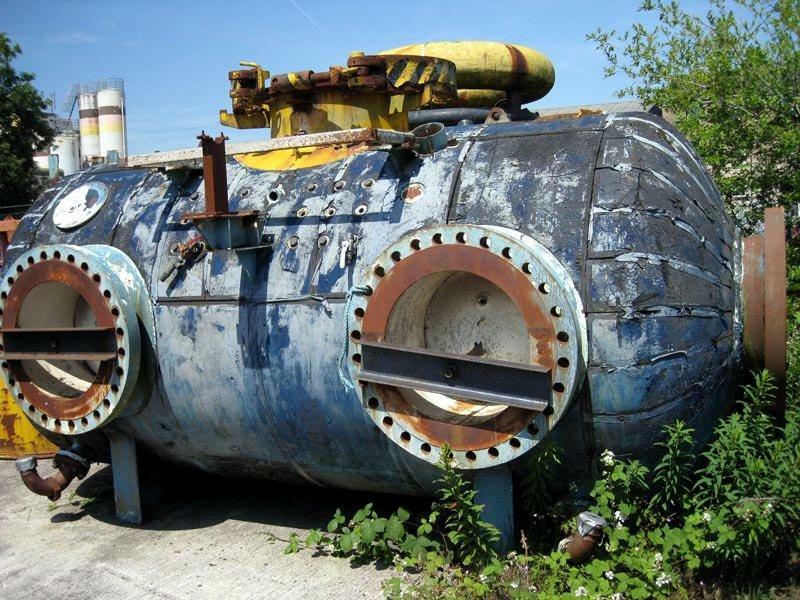 It has an unusual configuration of 1 top bell mating clamp, 1 manway at each end of the chamber and 2 additional side manways on one side of the chamber. 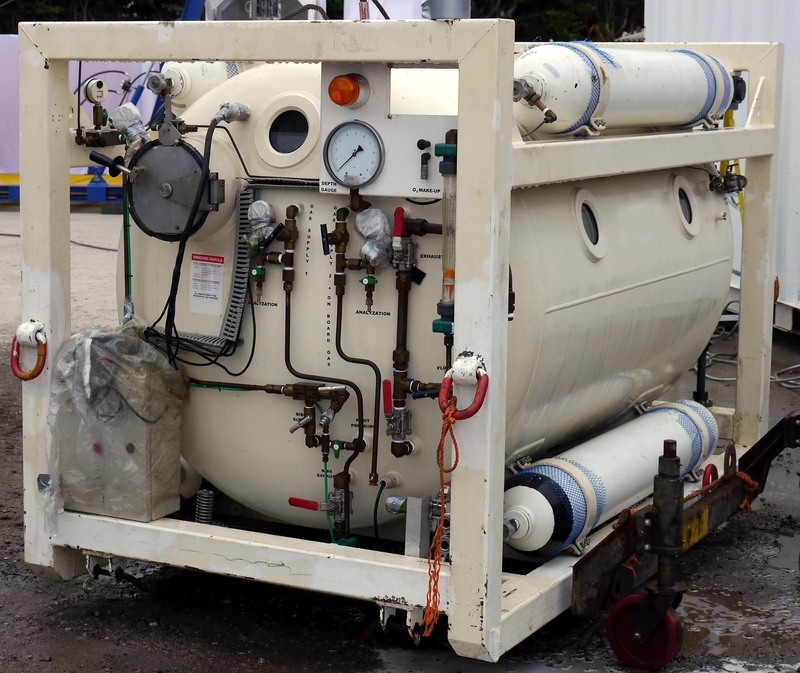 The chamber has an original working pressure of 446 psi/30 Bar/300 mtrs. The chamber is a bare shell and requires full refurbishment. The internal condition of the chamber is good and the manway door sealing faces are good. The approximate dimensions are L = 4565 mm x H = 2300 mm x W = 2150 mm, internal diameter 1850 mm, side manway diameter 618 mm, top manway diameter 685 mm. Manufactured in 1999. 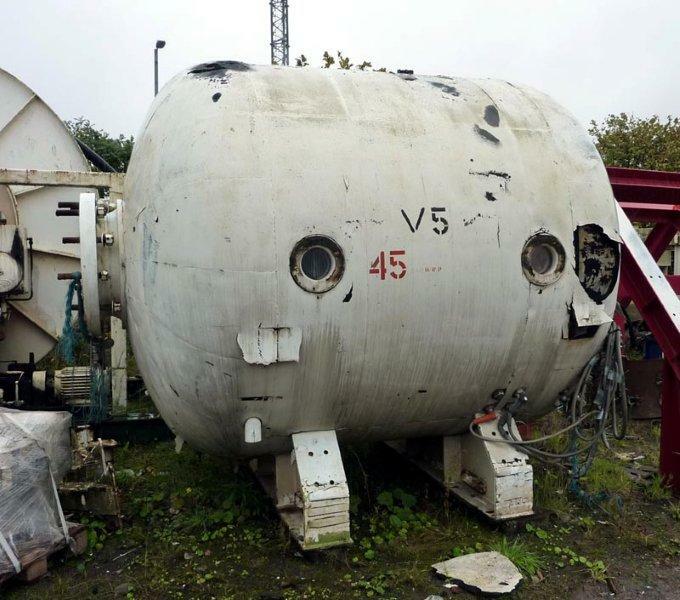 Used as transport decompression shuttle in the Westerschelde tunnel in Netherlands to the main chamber. So in very good condition. The shuttle was originally supplied to a European Tunnelling Contractor.